Welcome to Foodie Friday Link Party 58! I am loving all of the recipes that are shared each week. This week, we have some favorite fall recipes. If you love layered desserts, this is for you. If you’ve never tried one, buckle up, it’s amazing. 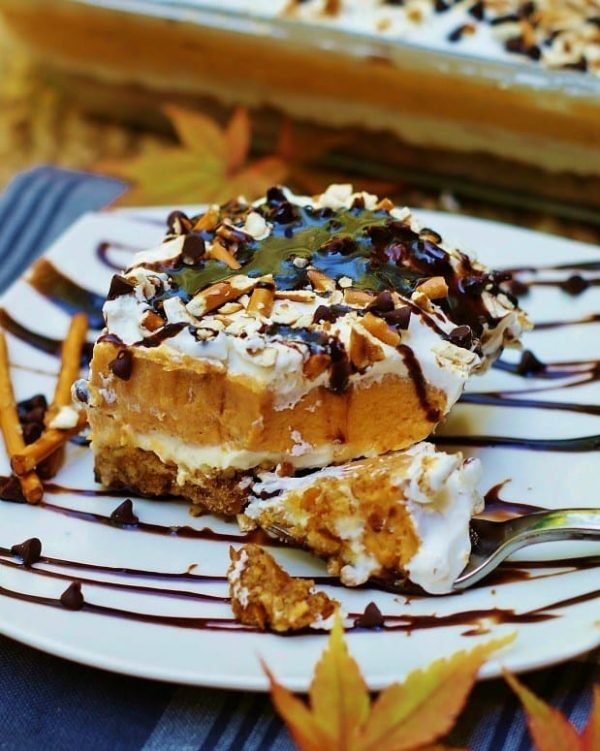 The layers include pumpkin, cream cheese, whipped cream, white chocolate pudding, and chocolate sauce. Oh yeah, you will be in love. These look like donuts, but they are cookies. Y’all are gonna love these maple-flavored treats. They look like fall, smell like fall, and taste like fall. Does it get any better than that? Such yumminess! 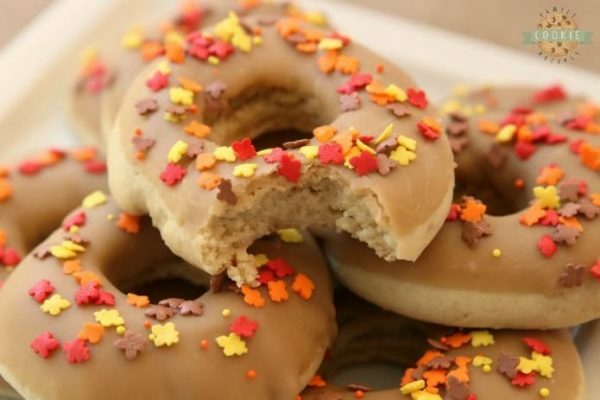 The combination of pumpkin and sugar cookies is a special treat. The recipe includes a buttercream frosting and toffee bits. 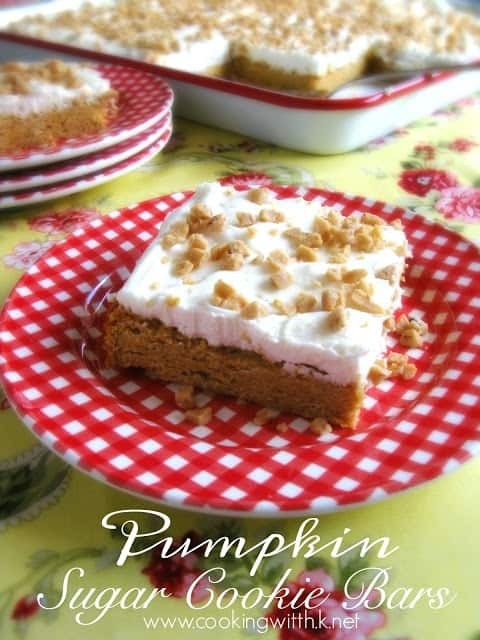 They are a quick and easy recipe that are going to become one of your favorite desserts. 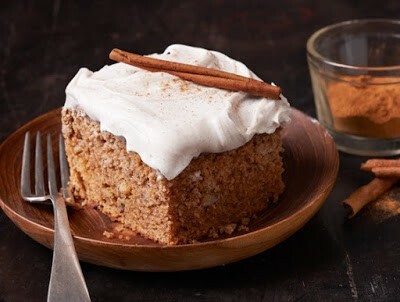 Apple pie filling, frosting, spices, and cinnamon are all apart of this amazing cake. If you’re looking for a dessert that is going to impress everyone at the potluck or party, this is it. Hi Amy! Thanks for sharing. We couldn’t do it without you! 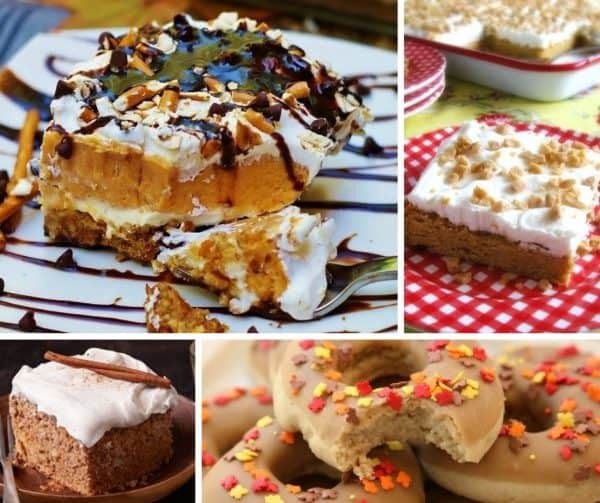 All of these featured desserts look delicious!! Love these bloggers and their desserts! Thanks for stopping by! Love all of the wonderful fall treats! Happy weekend! Hi Amy! Aren’t they fun?! Happy weekend to you, too! Thanks so much and it looks super delish! Hi Marilyn! Thanks for stopping by and sharing your wonderful recipes!